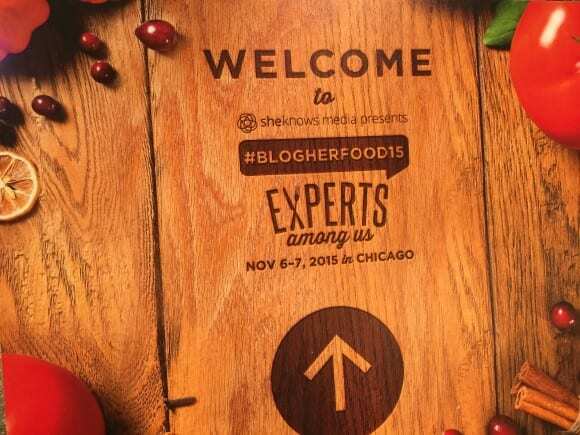 I was asked by Bounty to attend the BlogHerFood15 Conference in Chicago as one of their three brand ambassadors. I was honored and excited. 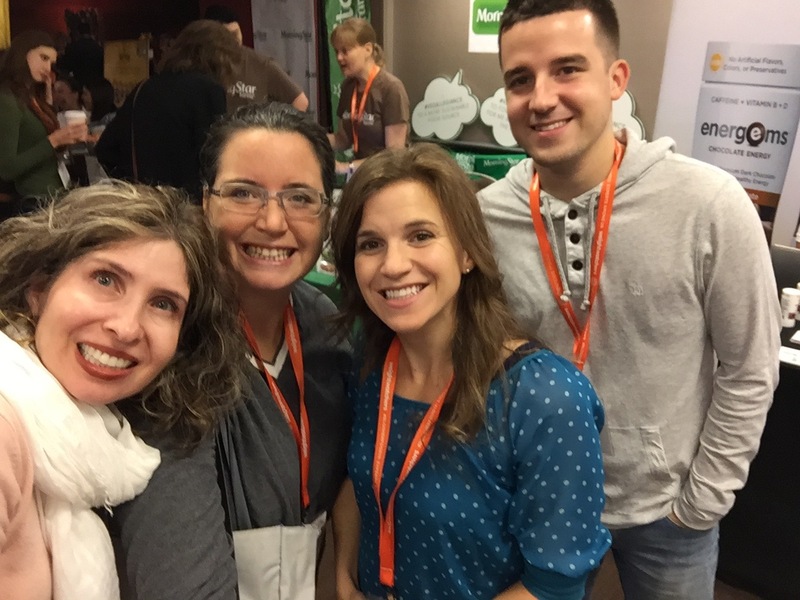 But having attended many conferences before, I knew what to expect. However, this conference was different. First, I got to learn first-hand about food photography and newest tips on social media, very relevant for Catch My Party. 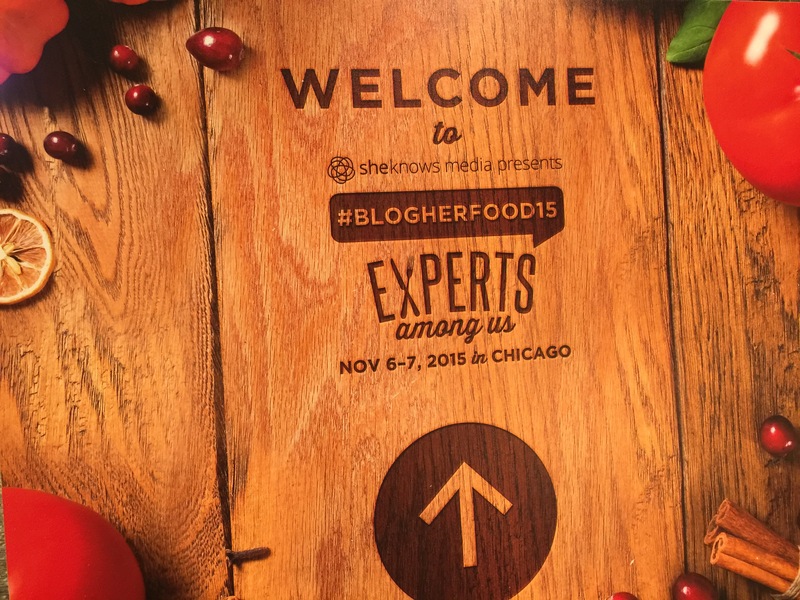 I also got to meet lots of great food bloggers who are very passionate about what they do. But the best part was hanging out with Brian from Bounty, and the two other brand ambassadors, Becky from Your Modern Family, and Dayna from Lemon Lime Adventures. If you don't know these two women, I highly recommend you check them out. When you spend so much time alone in front of your computer, it's refreshing to come out into the world and meet people you really connect with and enjoy! So thanks, guys, for making it so special! One of the great things about going to a food conference is... the food! 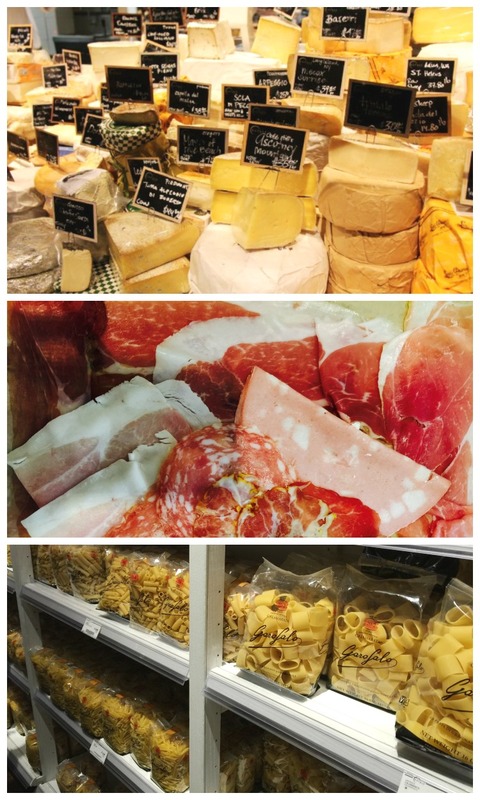 And the most inspiring place we ate was at Eataly, a gigantic, Italian food emporium, filled with the most exquisite meats, cheeses, breads, and desserts you've ever seen. I got home and felt the need to whip up something Italian, but I wanted it to be simple with high quality ingredients, like the foods I saw at Eataly. 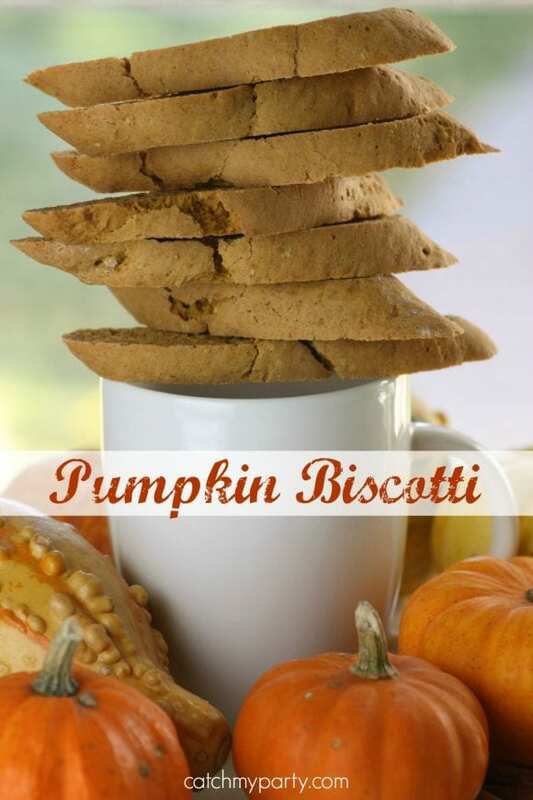 And that's what inspired me to make pumpkin biscotti. 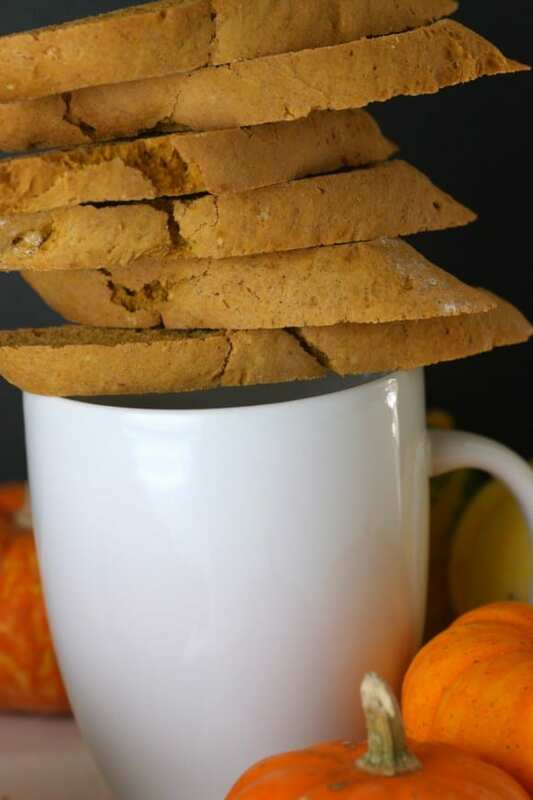 Instead of being fancy, these are all about the pumpkin, the cinnamon, the sweetness, the crunch, and the love. They're pure and delicious! So whip up a batch for Thanksgiving and give your family something yummy to sink their teeth into and that will keep them warm. Whisk together flour, baking powder, salt, and pumpkin pie spice and set aside. 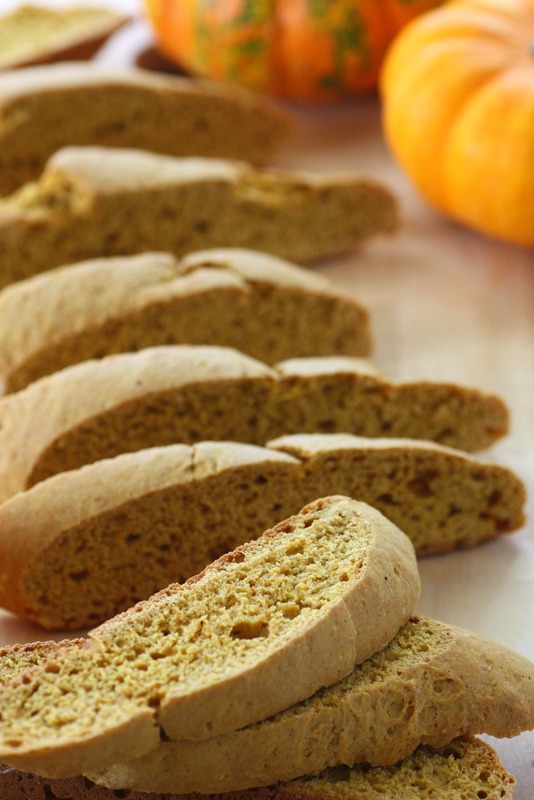 If you don't have pumpkin pie spice, just substitute 1/2 teaspoon each of ground cloves, cinnamon, ginger, and nutmeg. Add the room temperature butter, eggs, pumpkin puree, and sugar to a mixing bowl, and beat on high for about two minutes. Pour in all the mixed dry ingredients, and mix on low until it is just combined. Divide the dough in half in the bowl. 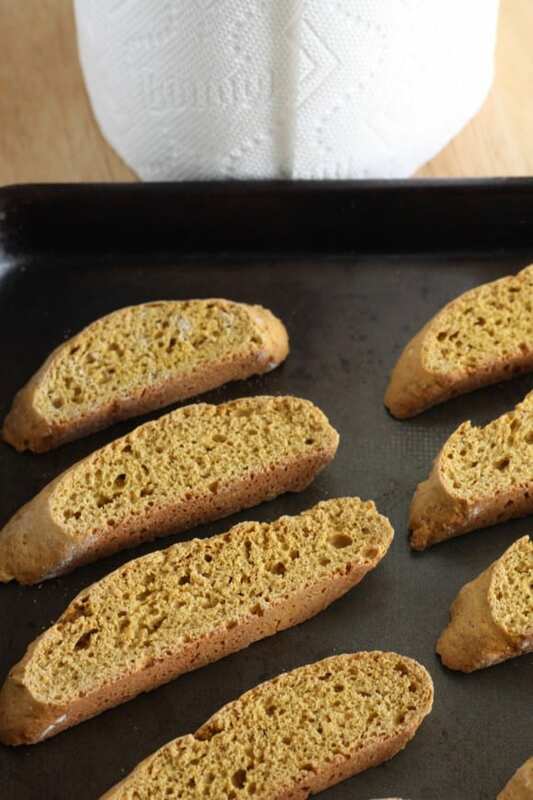 Biscotti dough is already sticky, and adding the pumpkin puree makes stickier, so set aside some flour to coast your hands as you handle it. Lift the dough out and drop it on the lightly greased baking sheet (or use a silpat). 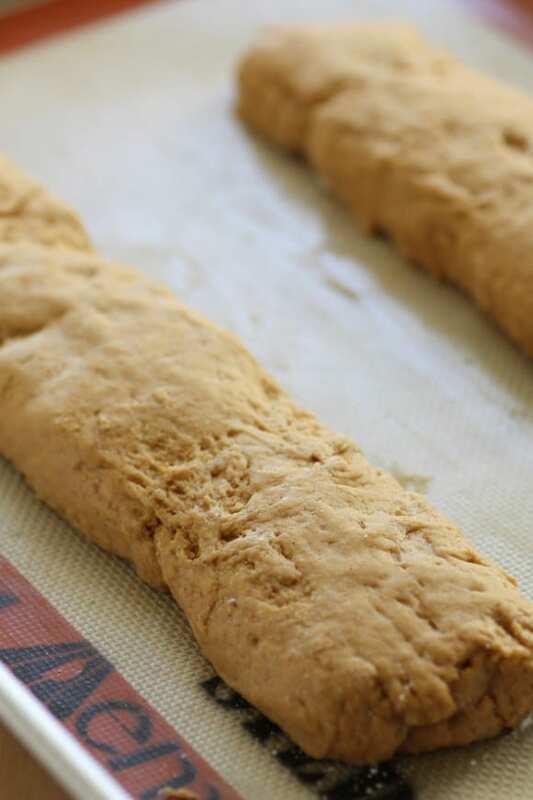 Form the dough into two logs, about 12 inches long, and 2 inches wide. Using a serrated knife to cut each log diagonally into about 1/2 slices. Cut diagonally so you can get nice long pieces. Lay the pieces back on the baking sheet, and put them back into the oven to cook for 15 min. Take them out flip them and put them back in for 15 min. Repeat twice more (1 hour total cooking time at 275F). 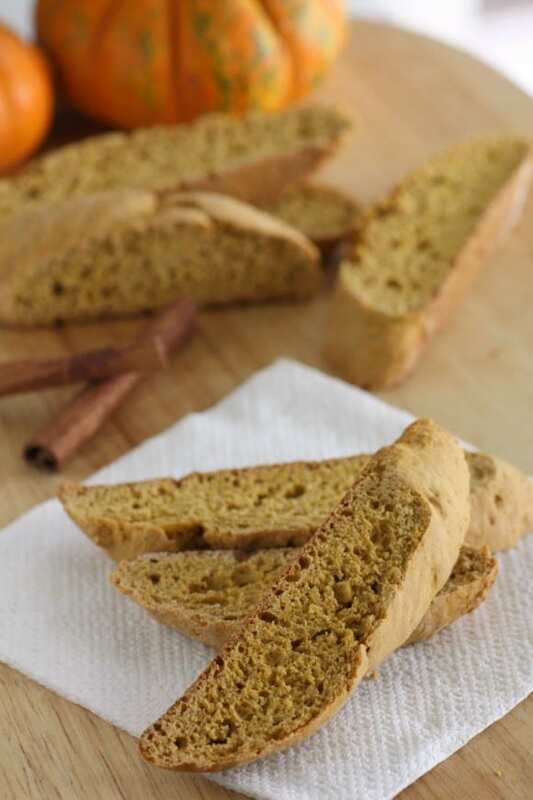 This biscotti takes longer than normal to dry because of the pumpkin puree. You'll know they are done if you can tap the center and it is crisp, and if you squeeze the center, there should be no give. If they start to brown inside the edge before they crisp, turn the oven down to 250F. Now enjoy! You'll love these! Thank you Bounty for the wonderful trip! For more Thanksgiving inspiration, check out these Thanksgiving celebrations, free Thanksgiving printables, and creative Thanksgiving ideas from our site.